Experience love as it blooms upstairs and downstairs. Of Fortunes Reversal: A brisk Hyde Park morning is shattered by a child’s scream. How two gently-born adults react in those next few desperate moments sets the plot in motion that is a unique reconsideration of the traditional Pride and Prejudice memes. Of Fortune’s Reversal is a novella-length tale based upon an inversion of Mrs. Bennet's exclamation that with one good marriage, the other girls would be thrown in front of rich men. What if the well-wed sister was neither Jane nor Elizabeth? The combined volume is approximately 82,000 words in length. We're used to those historical romances that portray ladies and gentlemen finding love and living happily ever after, but what about the people who share their home and work from before the sun and into the wee hours to keep them living in comfort, good food, and gorgeous clothes? 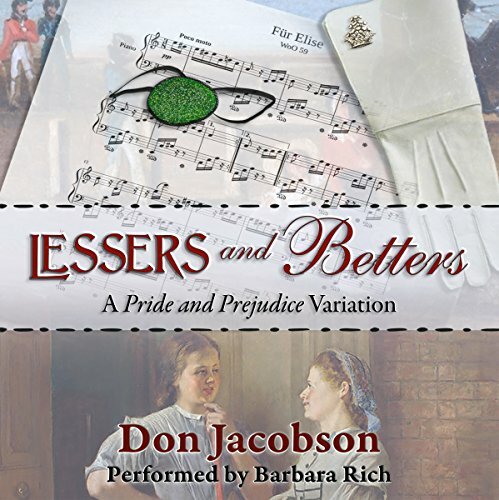 In Lessers and Betters, we are given two novellas that portray the same story, but from two different vantage points and offering two different romances from Upstairs and then from Downstairs. In Of Fortune's Reversal, Miss Kitty Bennet and General Fitzwilliam find love under a most harrowing circumstances. However, there were two couples introduced in the story. 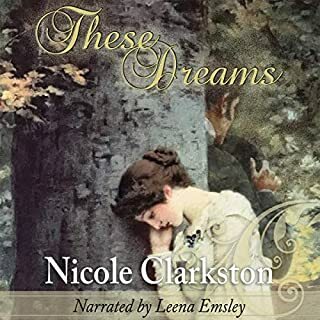 In the second novella, The Maid and the Footman, Annie Reynolds and Henry Wilson are given their opportunity to shine along with a new and suspenseful facet to what was revealed in the earlier tale. Of Fortune's Reversal is a Pride and Prejudice variation that tackles the 'what if' question of what happens if Darcy and Bingley don't come to Netherfield and Mr. Bennet passes away leaving his estate to his cousin and his widow and daughters nearly destitute. Each daughter steps up including the fourth daughter, Kitty who becomes a governess to the powerful Cecil family. The story opens with Kitty showing her grit when she stops a kidnapping of her charge and there are deadly consequences for her, but also a chance at romance from an unlikely source. 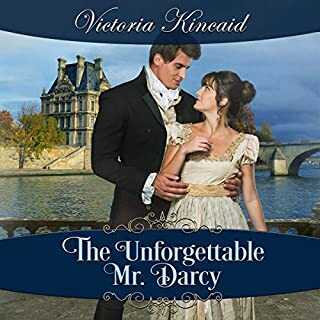 I thoroughly enjoyed this version of Kitty Bennet and dashing, but older General Fitzwilliam. Their romance was tender and heartwarming as was their unlikely friendship with servants, Annie and Henry. The Maid and the Footman introduces original characters, Annie Reynolds and former soldier, Sergeant Henry Wilson. The reader can recognize where this one runs parallel to the earlier novella, but it fills in with life below stairs and a cunning suspense thread that was only hinted at in the earlier novella. A sweet romance develops between clever and competent Annie and guilt-ridden and war-ravaged Henry. As much as I enjoyed Kitty and Richard's story, I think the follow-up with Annie and Henry was every bit as engaging and more enjoyable in some ways. Henry is starting over after the war and struggling so much with PTSD though they didn't have a name or a treatment for it back then. I loved how Annie supported him and helped him keep his dignity and, at the same time, I thought it was one of the best things about Henry that he respected Annie's acumen and contributions in working against their opponents. I appreciated how carefully the stories were placed in historical setting and detailed out. The author brought this regency world to life in livid detail. I do love accuracy with my stories because I learn from this and because it keeps me from getting distracted from the story itself so I'm grateful when an author takes the time to get it right. However, I'm about to contradict myself somewhat. There were times when the historical details and 'teaching points' of the broader world around the story or addressing of social issues (as worthy as these topics were) took over the focus. I enjoy history so this didn't bother me over much, but it did distract enough to mention. Fun fact, both novellas offer several famous literary Easter eggs scattered throughout. It was fun coming across them. I particularly loved coming across mention of Richard Sharpe, Dr. Maturin, and Jeremy Poldark, to name a few. Also, for those who enjoy The Bennet Wardrobe series, this too got more than a passing nod though its not a crossover tale. Barbara Rich was a first time narrator for me. She has a fantastic storytelling voice with lots of versatility. She handled a large cast of characters, accents, genders, pacing, and tone so well that I found myself immersed in the story and reluctant to pause when I needed to stop. I will definitely be looking for her work from now on. All in all, I thought these were a pair of heartwarming and fabulous stories. I fell in love with the characters and would love to see further stories in this world particularly after the little loose threads left in both epilogues. 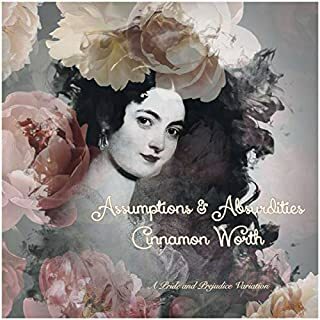 Austen lovers should definitely pick this up, but I think sweet historical romance fans would enjoy these, as well. The narrator is just awful, she takes away from the story so much that I couldn't finish the book. Don Jacobson have done it again!! A wonderful story, which shows another twist to Kitty and Colonel Fitzwilliam’s story seen from both upstairs and downstairs persons. In the first part of the story we follow Kitty from her employ in Cecil House and until her wedding. In the second story, we hear the same story, but seen from Annie Reynolds, a maid and Sergeant Henry, a footman ‘a point of view. 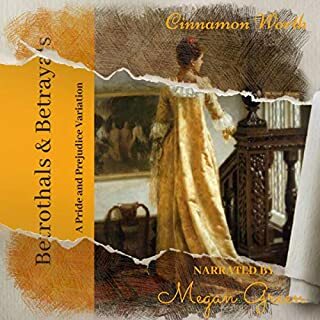 This gives the listener and reader a deeper understanding of not only the Wardrobe universe, but also this alternative universe, while also telling the story from two different sides of positions of the regency world. What also struck me was the other well known characters of Maturin from Master and Commander, Jeremy Poldark from the series and book Poldark and lastly John Watson from Sherlock Holmes series, which was a creative struck of genius. I couldn’t put the book down! I can’t wait for more from Don Jacobson’s creative desk. 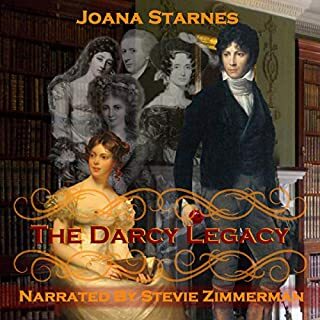 The performance by Barbara made the Cecil family come alive as I listened to the story, and also gave me an idea how Kitty, Darcy, Colonel Fitzwilliam, Henry, Annie and many other beloved characters would sound. I especially have to congratulate Barbara for her singing as Henry during his proposal to Annie Reynolds, which was so sweet and romantic, and made this listener tear up.